With both kids in elementary school now, reading has become a topic of discussion every day at our house. They have reading folders being sent home from school, reading assessments throughout the year, and there’s the constant struggle of finding a good book that they’ll enjoy reading. My kids are in a Spanish Immersion program, which means they are currently working on learning to read in both languages. Their teachers have been great about encouraging us to find ways that make reading fun, and ensuring the kids don’t view it as a drudgery. 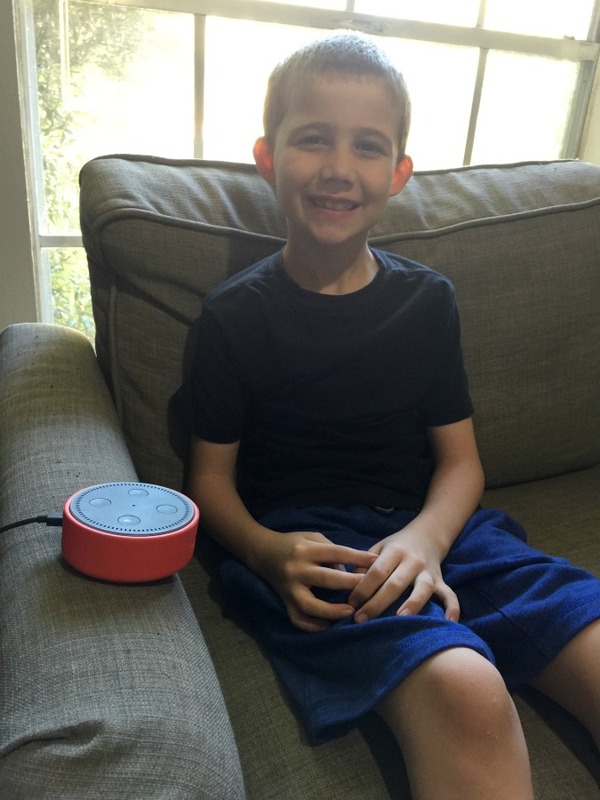 Recently, I discovered a new skill on the Echo Dot Kids Edition through Amazon FreeTime. And you and your kids will be off on an adventure together. Yep, they have some of the titles from our childhood, just waiting to be read along with your kids. And, if you still have your old collection of choose your own adventure books, you can have the kids read along with Alexa as you go on a Space adventure or on a journey under the sea! You can even bookmark your spot or ask Alexa to “go back” if you want to change your mind about something. 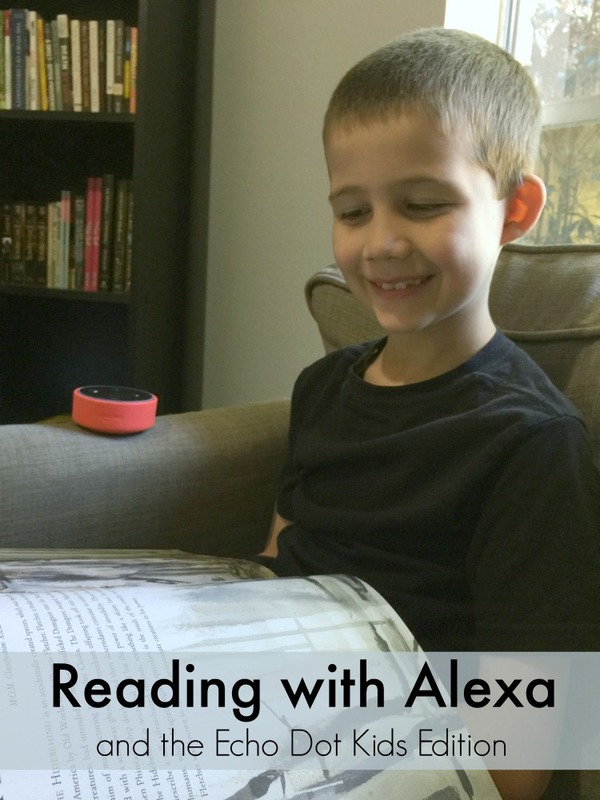 This is just one of the MANY Alexa Skills that can help encourage a love of reading in your kids. There’s also comics, classic kids stories, bedtime stories and even interactive stories for kids! They’ll learn to follow plots without moving pictures in front of them, and love to hear stories over and over again. It’s a neat way to practice, and to hear a good story, any time of the day! One of the biggest struggles my oldest had when he started reading was remembering characters and what was going on in the story. He loves non-fiction books, but getting him to really engage with a fiction book was a struggle! 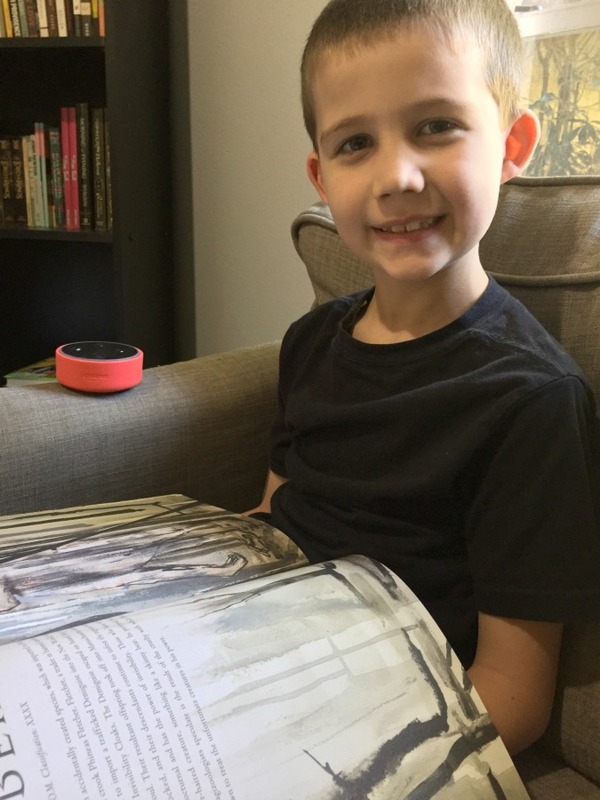 I realized that the Echo Dot Kids Edition can be a great tool to help kids learn comprehension skills that they can put into practice during solo reading time as well! From now until April 3rd I have a fun giveaway opportunity to share with you. Enter below for your chance to win one of ten Echo Dots! You can use it to read books with the kids, set up bedtime, help kids remember chores AND SO MUCH MORE! And of course, you can keep up with everything the kids are reading and playing with their Echo Dot using the super handy Parent Dashboard. 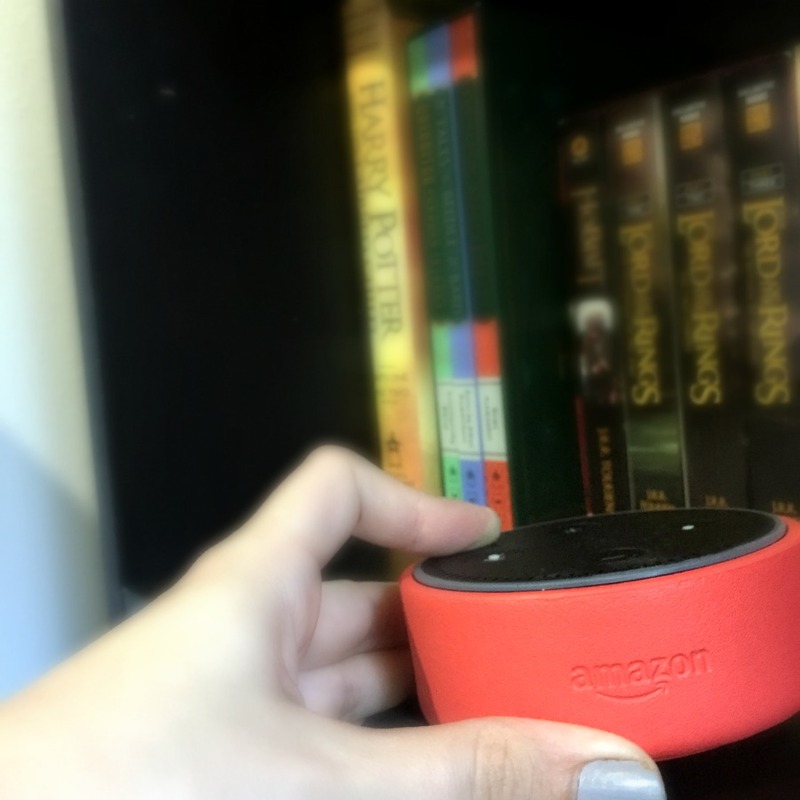 Do you have a favorite Alexa Skill or children’s book? Share them with me in the comments! Thanks for the opportunity! I would love to win this! HUGS! Hey Buddy!, I found this information for you: "Books & Literacy for Kids with Amazon FreeTime (& a GIVEAWAY)". Here is the website link: https://www.beautythroughimperfection.com/books-literacy-for-kids-with-amazon-freetime-a-giveaway/. Thank you.